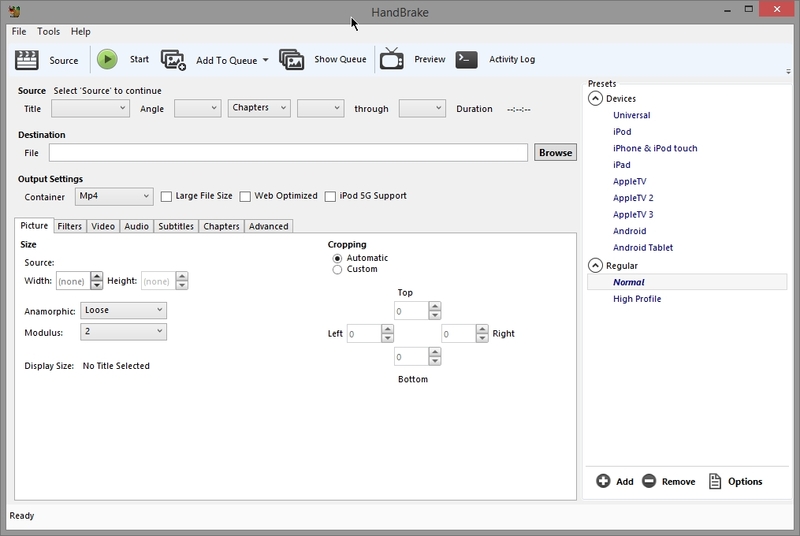 Handbrake software can be used to convert any video format to modern video formats. By doing so you can reduce the size of video files, thereby requiring less hard disk space for storage of video files. If you have video files of extension avi, mpg, rmvb, vob then you can benefit by converting the video to mp4 or mkv format. Select Anamorhpic “None” if you don’t want output files to be cropped/chopped. 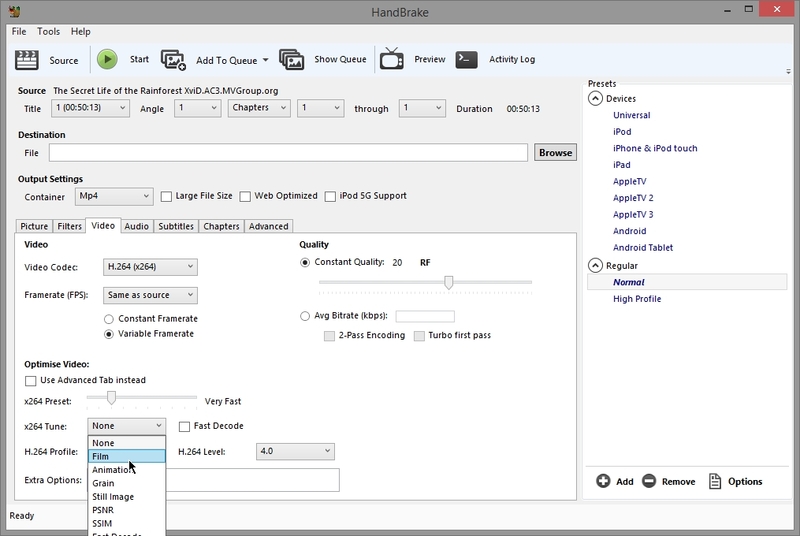 In video tab, you can select output video codec. 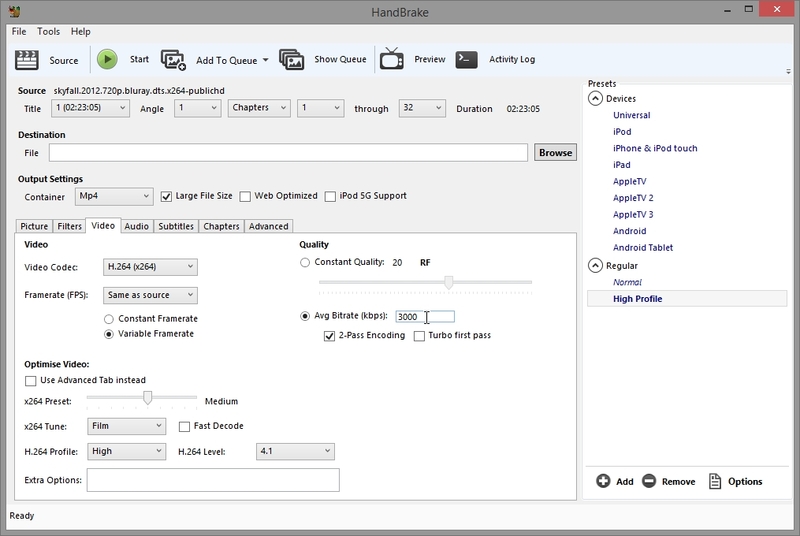 H.264 is best option. Let Framerate be “same as source“. Changing framerate never helps. Most of the setting are good and do not need any change. You may choose from presets on the right. 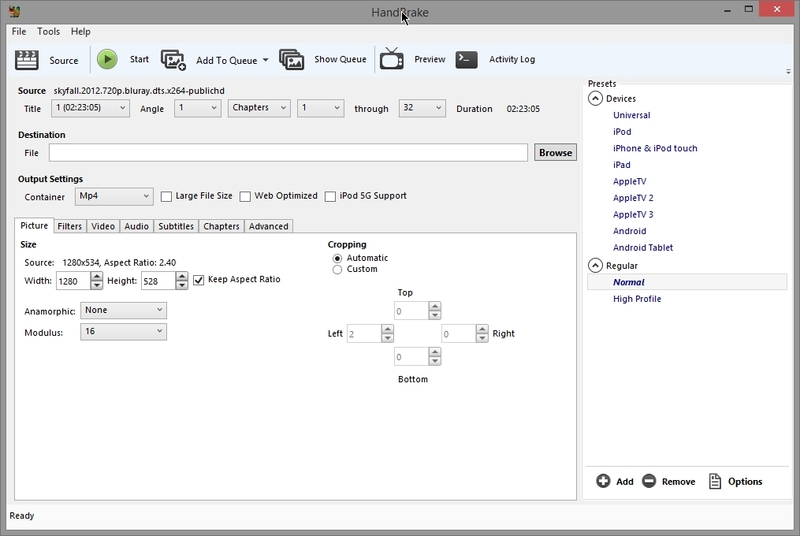 Audio tab lets you select the output audio codec. Selecting “Auto Passthru” is the best option. You may also slect “AAC Passthru” because AAC is widely known audio codec. 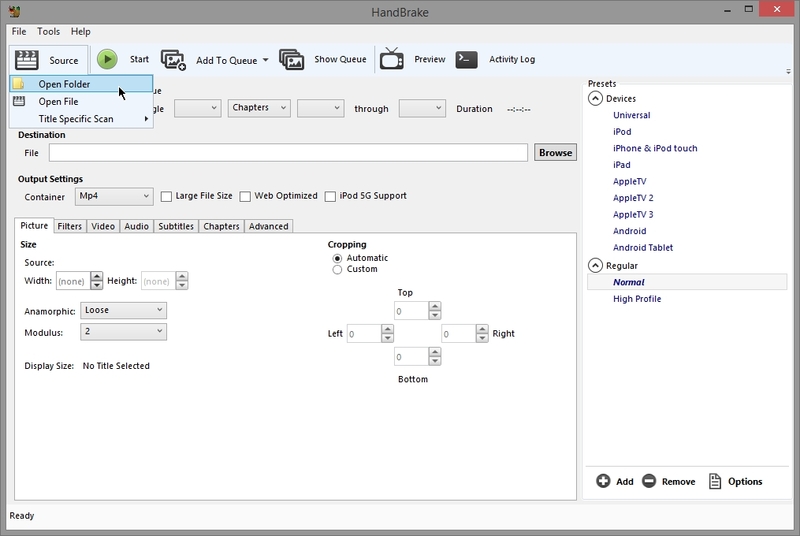 In subtile tab, you may add subtitle to the output file. Click “Import SRT” to add subtitle file. In Containers you can select the output file extension. It can be mp4, mkv or m4v. Under Destination you have to mention the location of output file. Click “Start” to start the converting of video file. At bottom you can see the conversion progress. Select high profile if the quality of video Full HD. This time we use Avg Bitrate (kbps) 3000 and 2-pass encoding to control the quality of output file. You should be careful with what you input in Avg Bitrate. If you put wrong value the output file may have bigger size than input file.